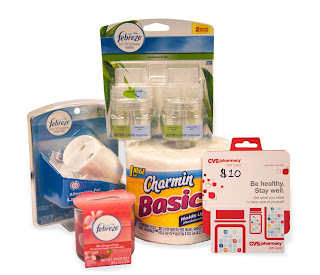 CVS is expanding its assortment of Charmin by now carrying Charmin Basic 1 roll. Charmin Basic is 2 times stronger than the leading value brand when wet. That means you change your toilet paper roll less often because it’s a stronger product so you use less. It’s also been tested and proven safe for your plumbing system (see below). Even better is that Proctor & Gamble have put together a fun prize package for one lucky Acting Balanced reader in the US! Ever wonder what happens to your toilet paper when it’s flushed? Well Charmin created this video and evaluates its toilet paper to ensure that it is safe for all the places it might end up after flushing (drain lines, sewers, septic tanks, and municipal wastewater treatment plants). Extensive tests show that when Charmin is used as intended in a properly functioning plumbing system, it shouldn’t cause plumbing problems. In fact, Charmin has been a reliable bath tissue, trusted in millions of Americans’ homes, for over 70 years. Disclaimer: Procter & Gamble provided the prize for this contest, as well as provided a package to Acting Balanced for this consideration.